With the release of the English version soon, what can we do with the app called AR Finder? What makes it useful? How do you move forward? I would like to arrange about the point. At first there are three for the purpose. I will consider individually. First purpose, to place and see CG object, which accounts for about 50% of the whole. If there is CG data, such as fictional CG characters, modeling data of an actual car, or a huge building, place it in the real space, see how it looks, record photos and movies, and convey images You can also. It will also be useful in terms of shooting as a reference when shooting backgrounds. At this time, since it is possible to record camera movement data and to record the position of the sun, it also serves as a reference for matching during post-production. Next is the second. I’m writing to write this, but “AR” is augmented reality. At this time, in order to extend the reality, it is first necessary to know the reality. Recognize the reality. Use R of this AR. Common measures such as major apps are also one of the applications in this way. So what do you use in AR Finder? If recognized, it seems that recording of camera motion data is also quite accurate. I will develop this area in the direction of reproducing with VR on Mac in the future. A record of the position of the sun at the time of location. This is also big. It’s up to you to know the orientation of the iPhone, but at what angle the sun is coming into the camera. There is a function that has not been installed yet, but if you put the iPhone on a large camera and set its relationship, you can use it to record the location information of the main camera. It is a function that seems to be useful at the time of angle check in the shooting studio. The purpose of utilizing this real information is about 40%. How to use “VR-like” ? 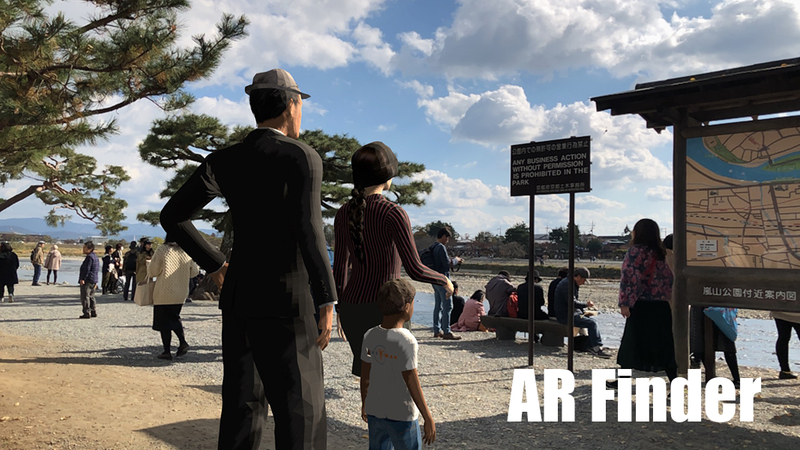 Finally, I noticed that I used AR Finder, but when I try to move in VR space as well as in the real world, it would be surprisingly useful if I could record it? For example, when creating a V-Con, etc., I think that white back and black back are also interesting, such as product lines juice cans and plastic bottles, and POV-like shooting in a space made of CG. I want to put this as a function later. The purpose is 10%. The AR is not limited to the iPhone, and is currently in progress, and is still in development. The situation will change rapidly in the coming decade. Along with the growth of ARKit on iOS, AR Finder also advances. Even if I can not reach the goal, I think that it is important to be able to use it on time at that time, and there are a lot of things I still want to do, but I plan to release ver1.0 first.